Bollywood Superstar Akshay Kumar is playing a negative lead role in the most awaited sci-fi action entertainer 2.0 featuring Rajinikanth in the lead. The latest buzz we hear from the close sources of 2.0 team is that Akshay Kumar will be seen in 12 different makeovers in this film and to fight with Chitti-The Robot. Multiple Shades of Akshay Kumar character will be a major highlight in the film. Yes, He will be on screen around 12 different looks in this film. Amy Jackson is essaying female romantic lead opposite to Superstar Rajinikanth and Sudhanshu Pandey, Adil Hussain, Kalabhavan Shajohn, Riyaz Khan are also doing an important role in this 2.0 movie. 2.0 movie post-production works are ongoing in full swing. Shankar is the director while musical scores are by AR Rehman and Allirajah Subaskaran's Lyca Productions is bankrolling in this film. 2.0 will hit the screen on earlier of 2018 release entertainer. Akshay Kumar's recent release Toilet: Ek Prem Katha movie hit the box office collection more than 200crores. Hopefully, Rajinikanth and Akshay Kumar's combo will definitely hit all the box offices. All the very best for entire team of 2.0. 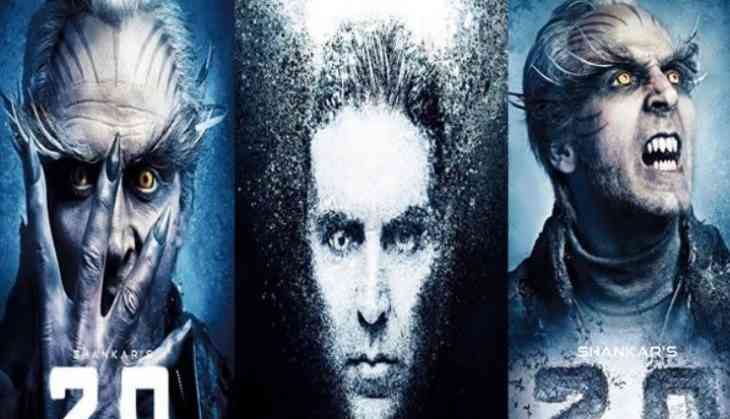 Write & Share about "Akshay Kumar multiple shades in 2.0 - 12 different looks : Shankar, Rajinikanth | 2.0 (2 Point O) Tamil Movie News | Cinema Profile" !